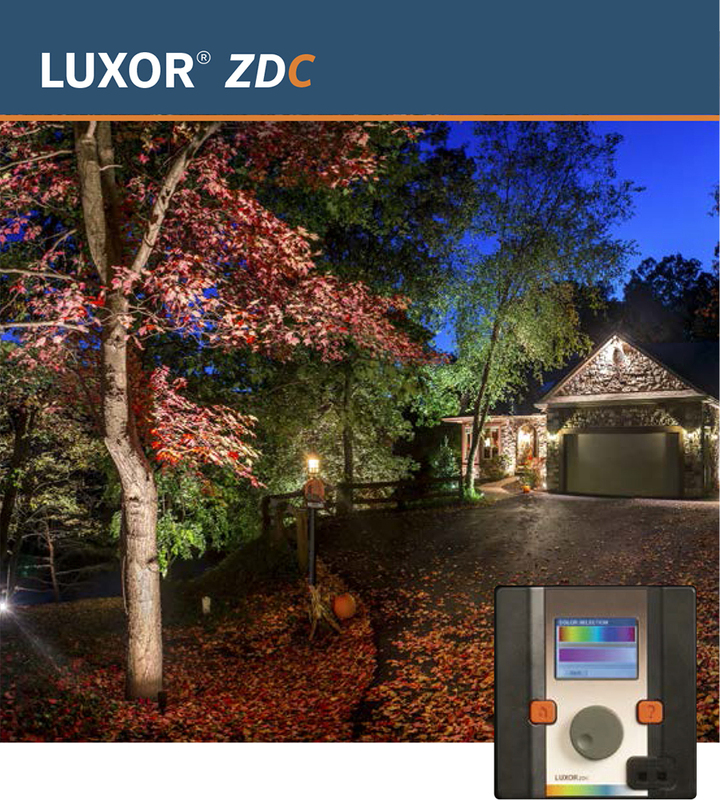 When Luxor® ZD controls an LED landscape lighting system, lights don’t simply turn on and off. They come alive. Luxor offers both zoning and dimming capabilities that provide virtually limitless design possibilities. Zoning allows lights to be programmed into preset themes, which can be activated for special occasions. Dimming allows lights to automatically emit any desired intensity anytime, anywhere within a system. 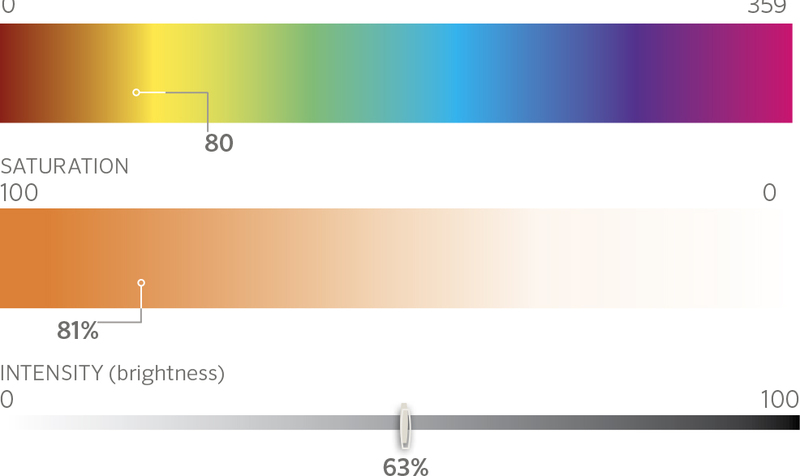 The Luxor® ZDC provides the ability to create 30,000 colors using RGBW LED technology. With the ZDC, custom colors can be created for outdoor holiday displays, team spirit themes, company colors, or special events. Color temperatures can be adjusted to match vegetation and architecture, offering unique landscape looks throughout the year. 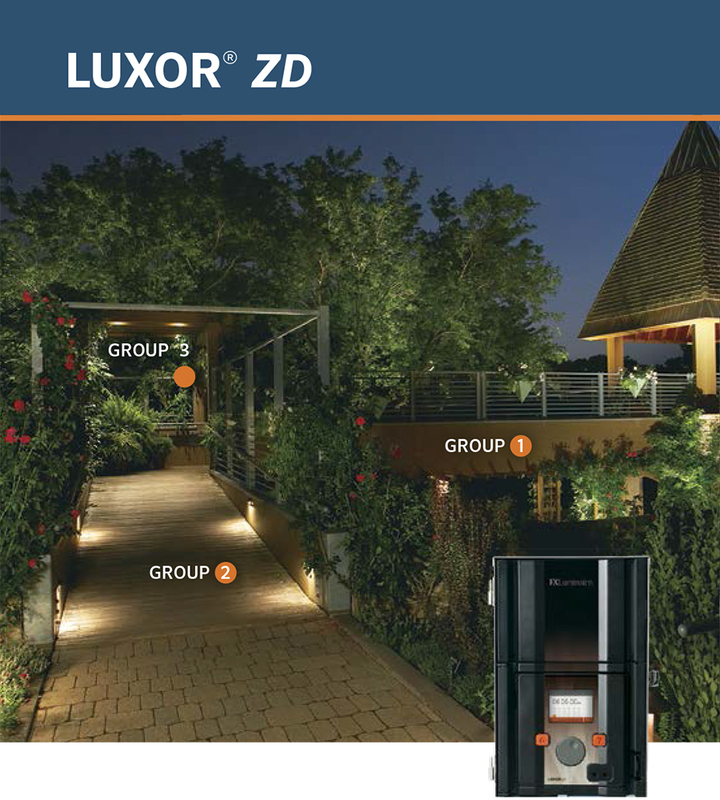 The Luxor Wi-Fi system is the next step in control for landscape lighting, adding onto the already versatile and limitless capabilities of the Luxor controller. Zoning, dimming and color are now controllable with iOS and Android devices for easy on-site control. All programs remain independent within each controller, allowing for maximum automatic control. Luxor Linking provides the ability to control a multiple controller site while maintaining a single point of control. Link up to nine Satellite controllers to one Primary controller. Once linked, the Primary Luxor controls all groups, programs and themes.